Running With the Big... Bunnies? 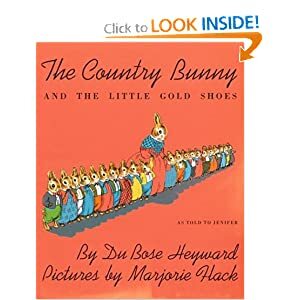 When we started this series of posts about our favorite childhood stories, the first book that came to my mind was The Country Bunny and the Little Gold Shoes. If I remember correctly, I received it for Easter one year, and read it annually after that. And then, like most childhood tales, I tucked it away. 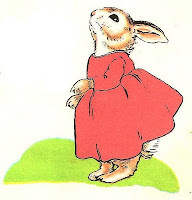 When I reread it as an adult trying to juggle motherhood, being a wife, and a long-standing desire to be a writer, the story of the simple brown-skinned cottontail who dreamed of becoming an Easter bunny brought me to tears. Born in 1885 in South Carolina, Dubose Heyward was said by his teachers to be bright, but absent-minded. He left school at 14 and went to work in a hardware store. He began writing under the tutelage of John Bennett, and in 1921 traveled for the first time to McDowell's Writing Colony in New Hampshire where he met his wife, an aspiring poet. 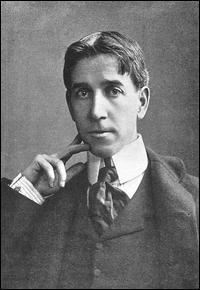 In 1925, Heyward published what many consider his best-known literary work, Porgy, which later became the basis for the play, Porgy and Bess, opera and motion picture by the same name. Five years later, Heyward and his wife Dorothy had a little girl they named Jenifer, and Heyward slipped into a habit of creating bedtime stories for his daughter. 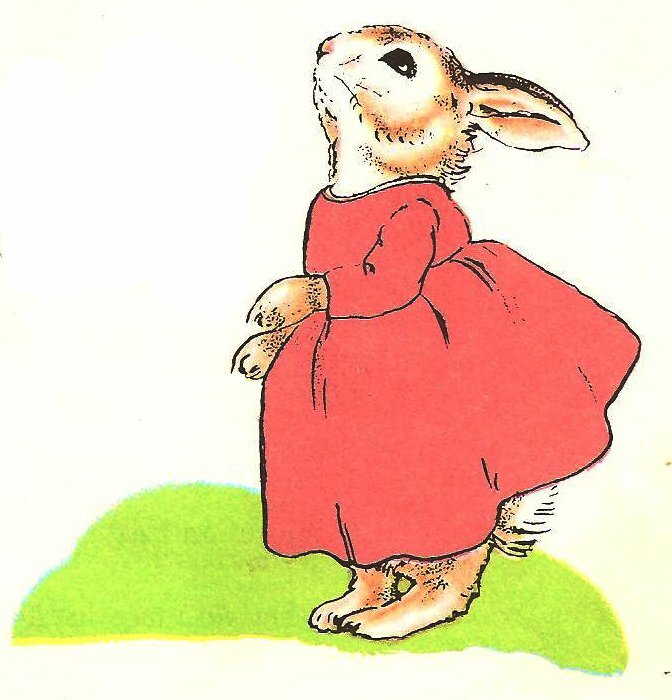 From those stories came the tale of the Country Bunny, who had to be very brave and very wise and very kind in order to attain the coveted position of Easter Bunny. Upon hearing it, award-winning illustrator Marjorie Flack (best-known for her illustrations in The Story of Ping) asked Heyward to write it down so she could illustrate it. The first edition was printed in 1939. Sadly, Heyward died of a heart attack a year later, when his daughter was just 10. The story of the brown-skinned cottontail who isn't like "the big white bunnies who lived in fine houses and the Jack Rabbits with long legs who can run so fast" and wakes up one day to find herself taking care of 21 little baby cottontails (okay, so I only had four, but sometimes they felt like 20 or 21!) appeals to me on so many levels. 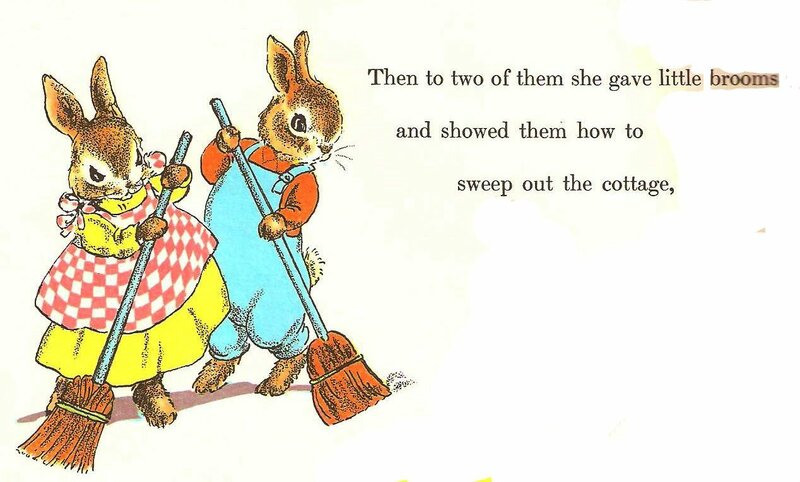 As the story goes, she takes her 21 baby bunnies and trains them and teaches them to take care of the household, to be responsible and helpful bunnies, and when they are old enough to be left alone in care of the bunny home, she "tries out" for the job of Easter bunny. To make a short story - shorter - the way her little ones behave earns the respect of the wise, old Grandfather Bunny, and she's allowed a place on the Easter Bunny team. Her extreme bravery and determination cause the Grandfather Bunny to name her his special Gold Shoe Easter Bunny. Even a simple, country bunny from nowhere, who has never done anything but raise a passel of rabbits, is strong enough, wise enough, and kind enough to run with the big bunnies, because it's the heart that counts, not size or color or background. As a "country momma" without a fancy college degree or a lot of money, without an exciting career, who can't really mark much down on a resume beyond bringing up a houseful of children, this story inspires me, as I hope it inspires you. Your dreams are not dead. It's never too late to go after what you want. Discount the naysayers, ignore the teasing and laughter, and do what's in your heart, even when it's scary, and even when it's hard, because sometimes, just being brave enough to try is worth as much as being the kindest, the wisest, or the swiftest. What are your "gold shoes"? I'm beginning to think this is our best theme yet, or maybe it's just that I can't remember much beyond these days of childhood story posts. Everyone has been so beautiful and so touching. Sniff Sniff. Niki, you know what? You're an incredible writer. If anybody stops here regularly, I hope you've also found our personal blogs. You can go there and, for instance, read more of Niki's work. Heywood's story is pretty interesting, huh? Porgy and Bunny. Love the photo, too. And I swear I can see the illustrator's style even though it's been years since I read the story of Ping. And now that you've suggested it, I think if this ever happens I'll go out and buy some gold shoes to wear when I celebrate. We ought to form a gold shoes club, girls. With badges and decoder rings, for all of us pursuing those shiny slippers. Niki, your post was beautiful and encouraging. Hugs. I'm amazed at the life lessons hiding in all these fairy-tales and children's books we've high-lighted in this theme. As youngsters, we didn't know why they comforted us, we just knew we wanted to hear them over and again. And now as adults we hear them and know the wisdom behind the words. Oh! Oh! Niki, I had a little paperback version of this book, and it disappeared (as many of my Scholastic book club purchases did). In the years since then, I'd totally forgotten about it! When I saw the cover on your post, I gasped. This story was a keeper and I am going to have to find a new one. Beautiful post, and thank you for reminding me that it's never too late to pursue my dream. Sometimes, this business of dream pursuit is a humdinger and can bruise us a bit. 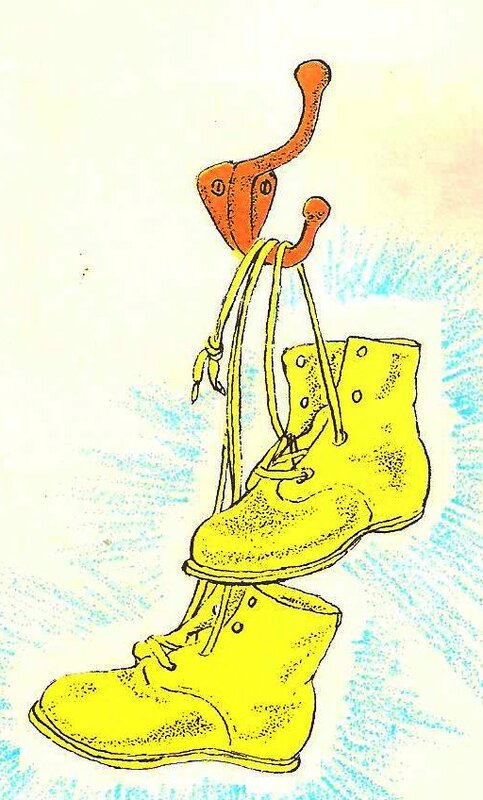 I'm all for forming the Gold Shoe Society. Count me in! I'm wondering if our readers are glancing at the header and title and thinking this is the same post as yesterday. 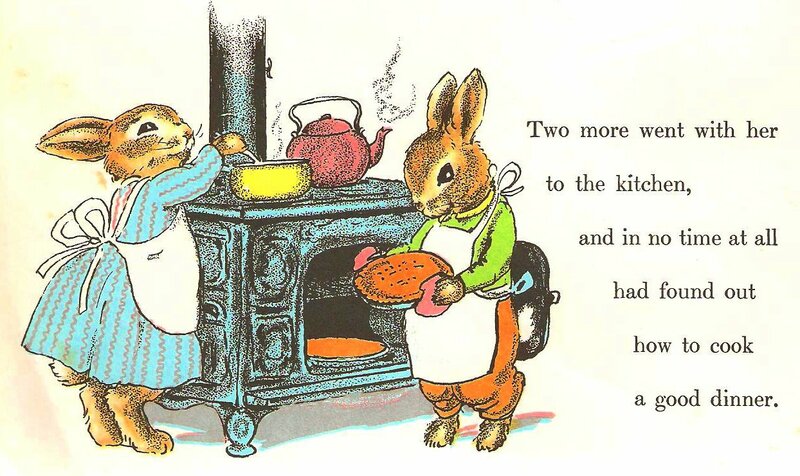 You know... 2 bunny stories? Just a thought. I hope not, Anita. This is such good stuff. A great reminder for all of us. Sorry I wasn't around to comment today. I've worked 20 hours in two days at the newspaper. Eek! Deb, thank you, you made me weepy! I think we all have the same idea for what those gold shoes represent to us. The best thing? They were a GIFT to her from Grandfather Bunny, because of her tenacity and determination. That's all it took, an "I WILL NOT GIVE UP" spirit. Lisa, I love, love, love the Gold Shoe Club idea! And the decoder rings, of course, because every girl worth her salt needs a decoder ring. Anita, the first time I read this one again I was shocked by the modern thinking about women's roles. Makes me wonder if this was the inspiration for that old "she can bring home the bacon, fry it up in a pan" jingle! Susie, I bet my copy (which is missing most of its cover) and your copy are the same one! Isn't that fun? I thought it was fun we both had bunny stories to share! Narelle, I completely agree. The further I go in this process the more I realize a writer needs a degree in self-confidence! Thank you, ladies, for your kind words today! Oh, Niki! I love this story. It's very inspiring. The writer of this story, a dad, had a lesson he wanted to share with his children. It's just so sad he died so soon. But I'm glad he got to share the story first. 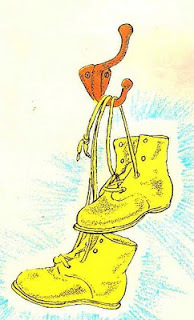 And I love Lisa's idea of the golden shoe club. Very clever. There is so much truth to the lesson in this book. Thanks Niki! Stranded on an Island. How bad can it be? Coming Up: Once Upon A Time Continues! We're Headed "Home, Sweet, Home" Next Week!